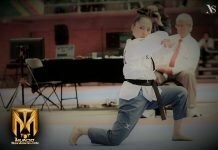 Taekwondo "Results" Grand Prix Manchester "Full Videos"
MANCHESTER-. The best athletes in the world are in Manchester Central Convention Complex in downtown Manchester, the United Kingdom on Oct. 24, 2014, faced by a booty of 40 points, and 5000 dollars in cash at first. The Olympic Taekwondo a giant step forward . Russia’s Anastasiia Baryshnikova brushed aside a stiff challenge from Sweden’s Elin Johansson to win the women’s -67kg final match with a 5-2 victory for the gold medal and a prize money of $5,000. In the female division, the bronze went to Azerbaijan’s Farida Azizova and Turkey’s Nur Tatar. Roger Piarulli (first from right), a WTF Council member and president of the French Taekwondo Federation, poses with medal winners during the awarding ceremony for the women’s -67kg category on the first day of the 2014 WTF World Taekwondo Grand Prix Series 2 at the Manchester Central Convention Complex in downtown Manchester, the United Kingdom on Oct. 24, 2014. Germany’s Volker Wodzich beat Uzbekistan’s Jasur Baykuziyev 3-1 in the men’s +80kg final match to grab the gold medal and a prize money of $5,000. In the male category, the bronze went to Belarus’ Arman-Marshall Silla and Iran’s Sajjad Mardani. Milica Mandic of Serbia, the gold medalist in the women’s +67kg at the 2012 London Olympic Games, defeated the Netherlands’ Reshmie Oogink 7-4 to earn her country the gold medal. Mandic also took a prize money of $5,000. Korea’s In-jong Lee and Turkey’s Asena Aydin had to settle for the bronze medal in the same female division.